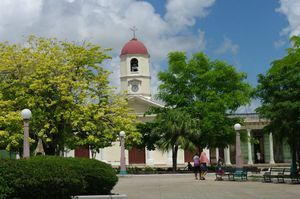 Enjoy a relaxing walk along this fascinating park honoring the hero of Cuban Independence. 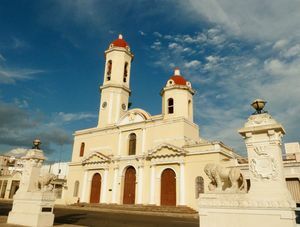 Visit the Cienfuegos Cathedral and see its French stained glass windows, believed to be the most artistic in Cuba. 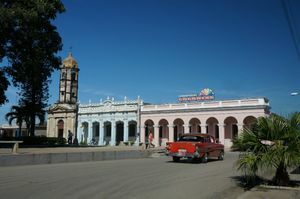 Admire the antiques and decorative artworks in this interesting museum in the city of Cienfuegos. 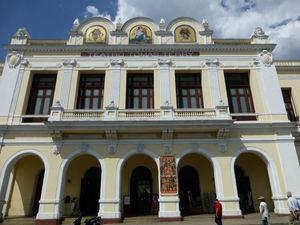 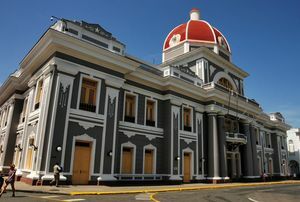 Visit Tomás Terry Theatre in Cienfuegos and be amazed by its auditorium with Classicist-style frescos. 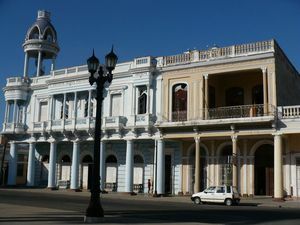 Witness one of the best panoramic views of Cienfuegos from Ferrer Palace. 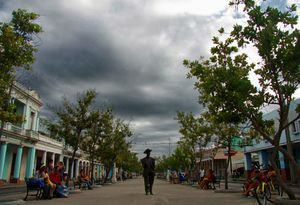 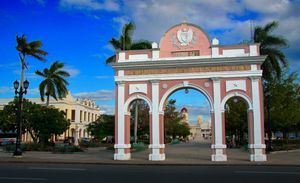 Why not enjoy a quiet and relaxing stroll down Paseo del Prado in Cienfuegos, and perhaps take a selfie with the statue of Benny Moré, too? 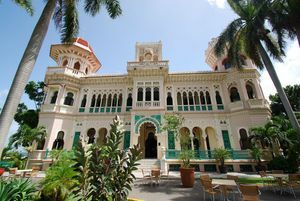 Visit the Valle Palace, located to the South of Calle 37 in the city of Cienfuegos, Cuba. 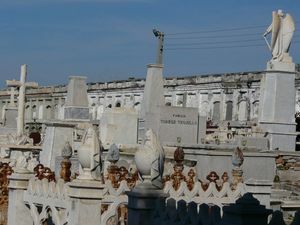 Visit the Necropolis of Tomás Acea and see a style reminiscent of the Parthenon of Athens. 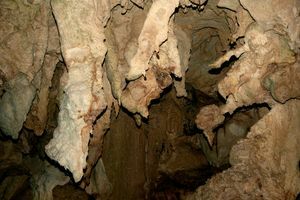 Why not going on a captivating trip to Santa Isabel de las Lajas, the birthplace of Benny Moré? 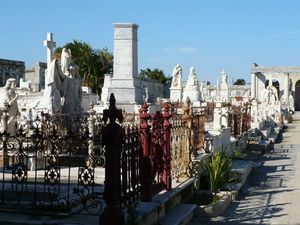 Explore this city renowned for its brotherhoods of santeria, in Cienfuegos, Cuba. 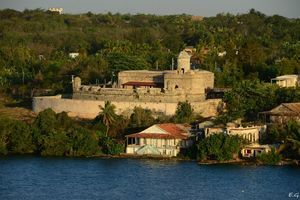 Dare to explore Jagua castle and witness the amazing views over the bay of Cienfuegos. 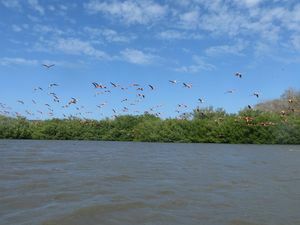 Don’t miss out on taking a trip to Guanaroca Lagoon to see some of its unique array of birds. 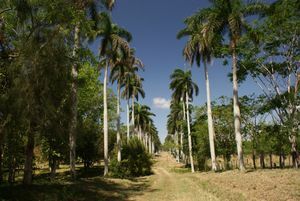 Visit the Cienfuegos Botanical Gardens and be amazed by the most important Botanical Gardens in the whole of Cuba. 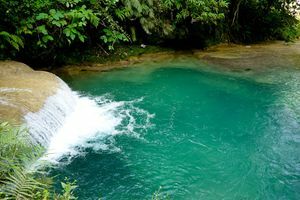 Visit El Nicho and find out why it has become Cienfuegos’ emblem of ecology.